On Globe ALL NET 25, 70, 150 and 600 promo you can now enjoy unlimited SMS to all networks plus 10 minutes of calls to all networks with 50 minutes of calls to Globe/TM and 5MB of consumable mobile browsing with the new ALL NET 25 offers. Therefore, if you avail All Net 70 then your free call will also have additional minutes same with data browsing and validity period. Choose from the following with its corresponding validity periods, just reload your prepaid account with your desired amount of promo to register. You can use the *143# menu or send the keycode via SMS. 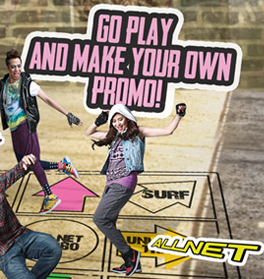 Here's How to Avail GLOBE *143# Promos or you can also register by texting ALLNET25 to 8888. You may read this if you want access to Facebook Globe ALLNET25 plus Free Facebook and Globe Unli Facebook Twitter and Multiply.